I think everyone knows what this means by now. I’ve finished Black Flagged Redux. Some of you might remember seeing this board in an earlier post…EMPTY. 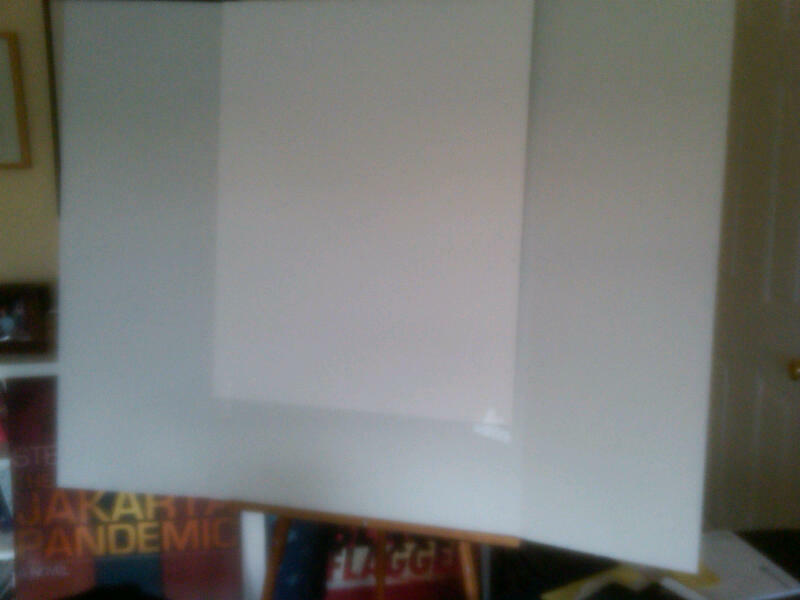 If you don’t believe this was ever blank, you’re not alone. I can barely believe that I finished the second novel of the series, in little over three months. To top it off, the novel is about 20K words longer. For now, take a look at the Geography of Black Flagged Redux. I think you’ll quickly see that I have upped the ante with my second book. 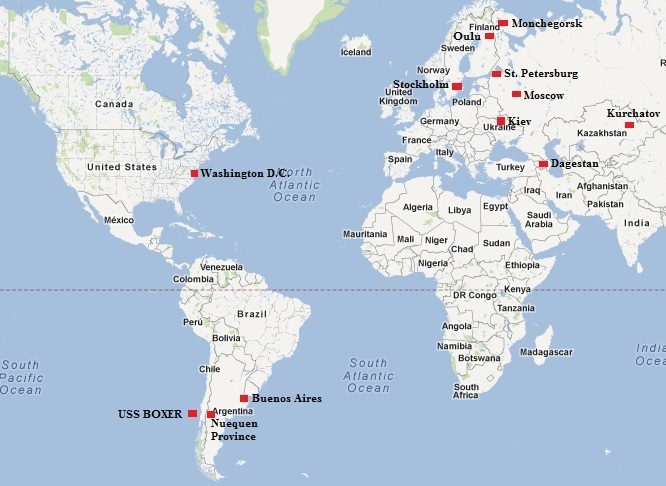 Each red box represents key locations to the story. Right now, I’ll leave it up to your imagination to guess which of these locations will need to hire another coroner to handle the influx of bodies. I need to get a board. 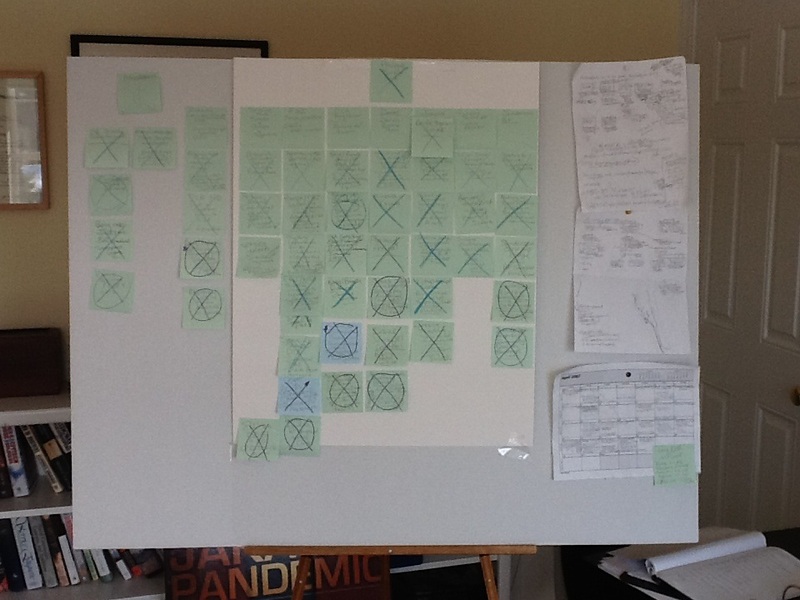 When I do plot, I use post its all over my desk. Not such a great method. Too easy to spill tequila on them. Not that I do that. Spill tequila, I mean. Congrats on finishing it. Now comes the fun part. Rewrite. Groan…. I’m not a writer so I don’t know what that board is supposed to have. Is it like a Kanban board? Rewrite? I do believe this one came out of the womb perfect. Thanks, Russell. I moved over to a board, because of the post it notes sitting on my desk. I do most of the plotting in a notebook and start writing…once I start to get confused, which seems to occur earlier and earlier these days, I put it all up on the board. Sometimes it serves as more of a visual reminder that I might actually finish writing the book. I had to look up Kanban board. Based on what I see, the board I use serves a similar purpose. The headings I use are different major characters or entities within my story, and instead of milestones, I have prospective scenes placed below. I put an X through them, as I finish. A Kanban board looks to have a lot more functionality as a project manager tool. If I had a spare computer screen (already using two), I would consider trying to use a basic Kanban board. Thanks for the comment, “yoon.” Who knows, I may look into this a little further. Anything to help me keep the plotting straight. As a note, I’ve seen writers use every imaginable form of plotting tool. There are some software programs designed specifically for the task. I like to see the whole picture, which is why I went with a board.